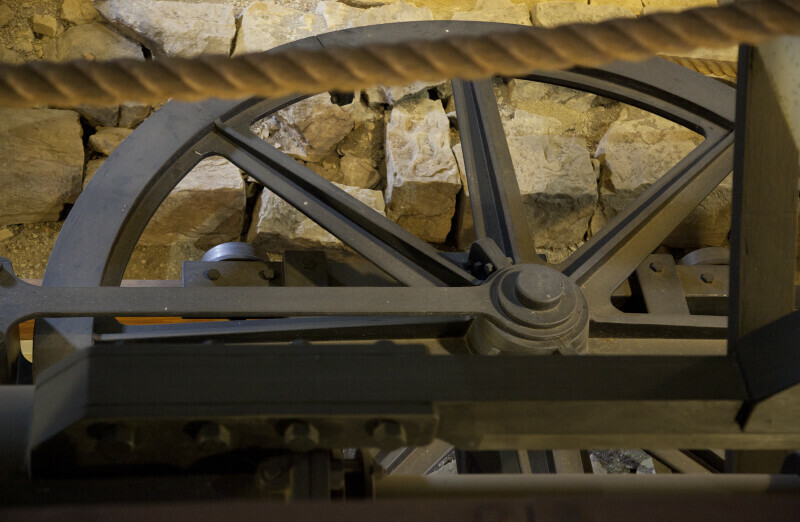 This horizontal sheave is part of the steam-powered engine works of Engine House Six. This sheave is set into a stone-lined pit. Engine House No. 6 is listed on the National Register of Historic Places, as part of the Allegheny Portage Railroad National Historic Site.